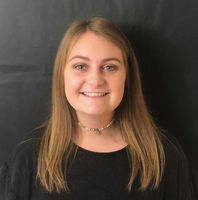 Junior Sam Cornett joined the newspaper staff her freshman year and has been sports editor for two years. Between being an editor for the Trail, Sam works at Chick-fil-a and Justice, as well as being a writer for the magazine Lake Kedron Living in Peachtree City. She is a member of the National Spanish Honor Society, the National Society of High School Scholars, and also has spent the last two years playing as a Lady Chief for the soccer team.